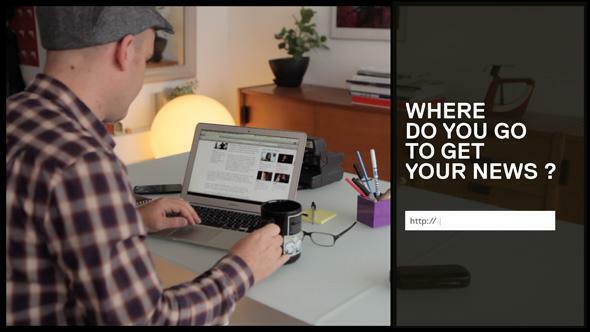 Do Not Track: An interactive documentary series about data collection and online privacy. One of the interactive moments in Do Not Track. Interactive media can still sometimes feel like a Choose Your Own Adventure book: fun and novel, but also kind of contrived and limited. But Do Not Track, a docu-series about data privacy that launched Tuesday, uses audience participation in a great way. As the series goes through different aspects of online data collection, it uses the examples of your choice to show how much data sharing is going on behind the scenes online, and how easy it is to develop profiles about Web users. For instance, the movie analyzes your IP address and browser connection to tell you what country you’re currently in, what the weather is in your area, what time of day it is, and what type of computer you’re on (Mac or PC). It’s an effective moment that shows just how personal the documentary is going to be. Beyond the interactive aspects, the documentary shows experts and activists talking about how the Web works and debating what users’ rights should be when they share personal information (both on purpose and inadvertently). Over seven episodes, the series highlights different aspects of privacy that users may have never thought of, like the role of mobile data. In the United States there are slow but increasing efforts to improve data privacy protections through legislation, but many people still aren’t thinking about ways they can proactively protect themselves. Maybe Do Not Track can help with that.